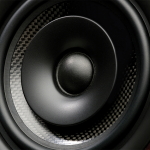 When it comes to speakers as a whole, Mackie is no stranger to power and quality. 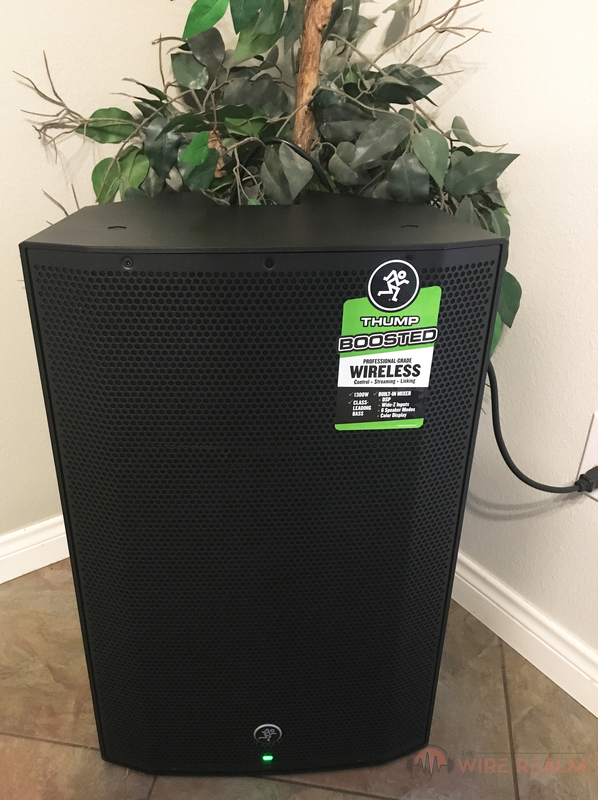 In today’s case, let’s just say they further prove their point in effective speaker solutions for all types of environments and settings. We were given a pair of the Mackie Thump 15BST powered loudspeakers to write an honest and fair review, and after using these bad boys for a number of hours, I must say I was taken back by how high-end they were — the bigger picture as a whole, whether it’s the excellent sound quality, wireless streaming capability, Vita+ preamps for mics, three-channel mixer built-in or overall power this thing can produce, all combine for a powerful punch many powered speakers in this price-point can’t compete with (especially if you grab two). Let’s get into the details. 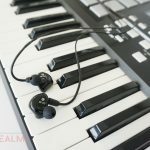 Let’s first talk about actually using the Thump, and in particular what controls we’re getting aside from just “playing music”. The rear panel has a lot of flexibility and options to get going on using these from the start. 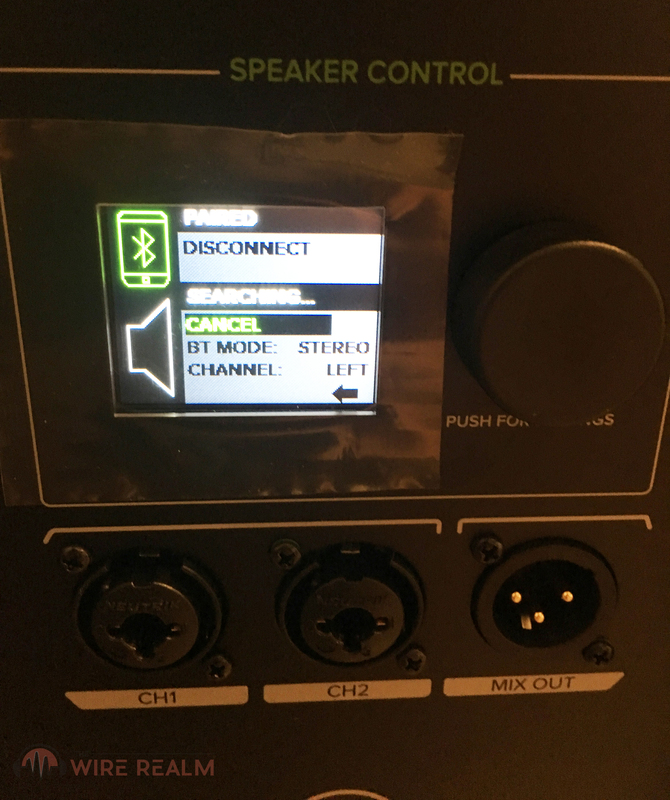 Aside from the needed power connector and power switch, there are also two input channels for a mic or other line-level signal from a mixer (or some type of other signal source that’s compatible), while the mix output allows you to connect either a subwoofer (talk about bass power if you do this), or perhaps additional full range speakers you already have handy. Additional A/B inputs are also at our fingertips if you’d like to connect mono or stereo line-level signals from a mixer, and combine this with a high pass or full range output (all with two) and you can sync the speakers again with either some other full range loudspeakers you have or an additional sub. Cap off your controls with the polarity switch or main level sensitivity knob (with LED indication) and we have a lot of customizing capabilities at our fingertips. The LCD screen is of a decent size and is colored (although we did have to get pretty close and kneel down to be able to see and use it since we didn’t have any poles), allowing us to use the speaker control quite easily (just rotate or push the main knob to use it — we got the hang of it pretty easily after a while). Even better, you can control all of this using their “Thump Connect App” (yes, iOS and Android compatible) if you’re the type to engineer a performance from afar, or perhaps just want to be able to adjust your levels and EQ using your phone at a house party or solo gig. This is even easier for DJ’s who can adjust their settings on stage, as opposed to having a friend or colleague do so from behind the speaker or even save yourself from having to bend down and leave your rig to disrupt your set. 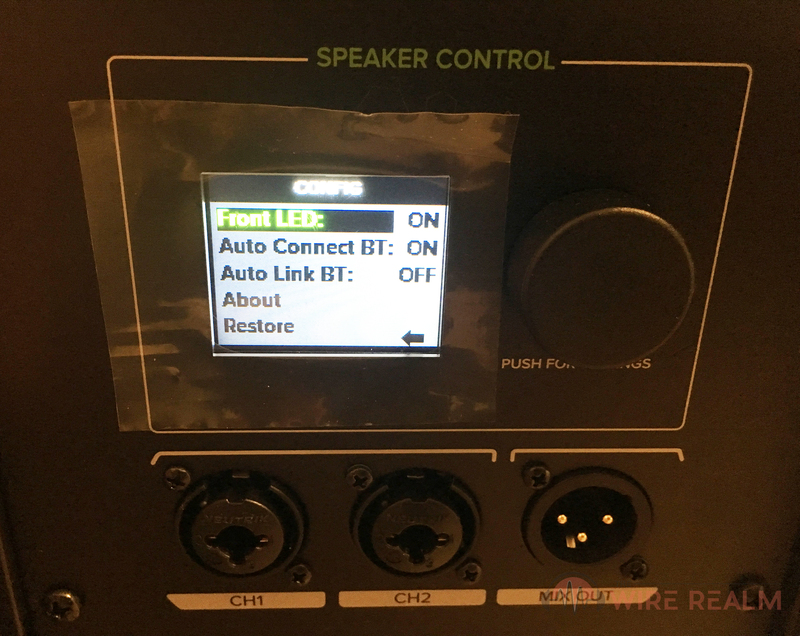 In terms of adjustments on the rear unit itself, we were able to tweak EQ, voicing, pair the speakers with others or use Bluetooth to stream via our music player, as well as change the screen brightness, various other settings or even lock the current levels you have to be safe during a performance. Syncing the 15BST with each other was easier than we thought. We simply went into the menu and selected ‘sync’ and once we turned the other on and did so with that speaker as well, it took each of them about 3 minutes to get paired up. The Bluetooth pairing was also seamless, coming in our phones as ‘Thump15BST’ to easily select and get going within minutes. 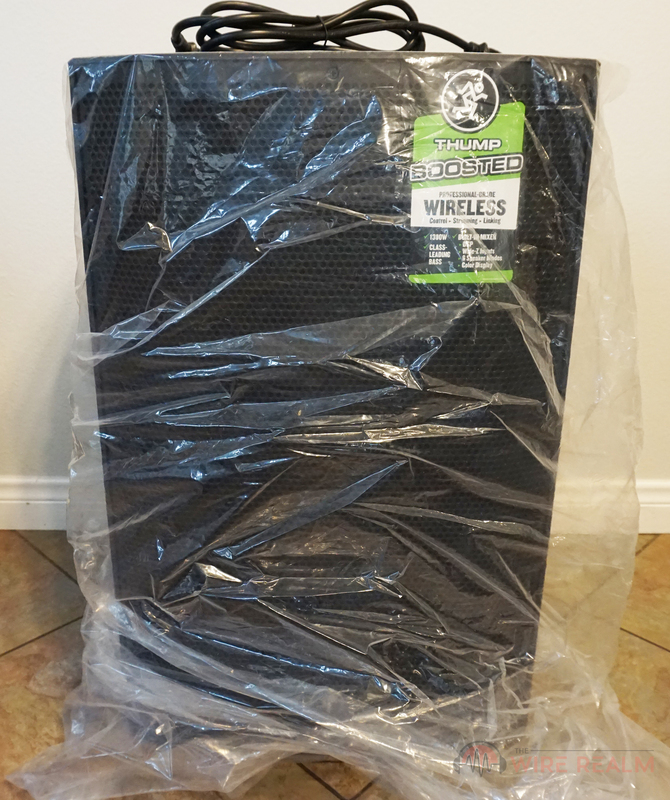 Pairing the speakers together as well with our phones to stream some music with Bluetooth was very seamless. You want to talk about power? We’ll talk about power. 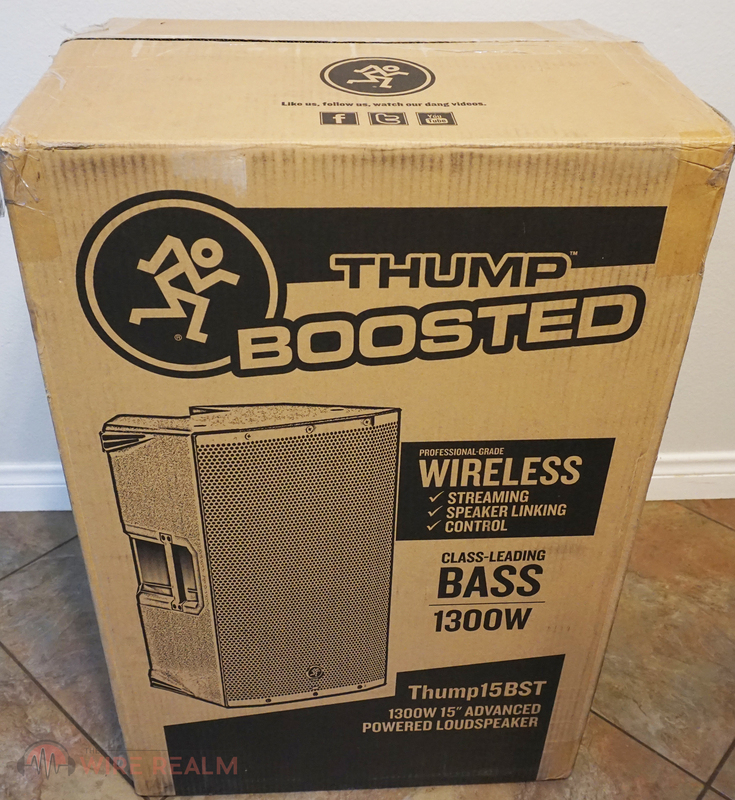 To put it lightly, once we reached up to about 80% of the volume possible with the Thump 15BST, we had to turn it down since just about every person at the house party we threw to test these with started to frown and give me “that look” — which ultimately isn’t a bad thing whatsoever. Being that the house we were in was about 2,000 sq. ft. with a very open living room where we had set up the speakers, it was more than enough power to check our list off for musicians or DJ’s who gig at parties or smaller venues, or merely anybody who wants a high-quality PA system (keep in mind we had two synced up for this test and review, not just one) in their home, or perhaps take these to a friend’s to shake the walls for fun. 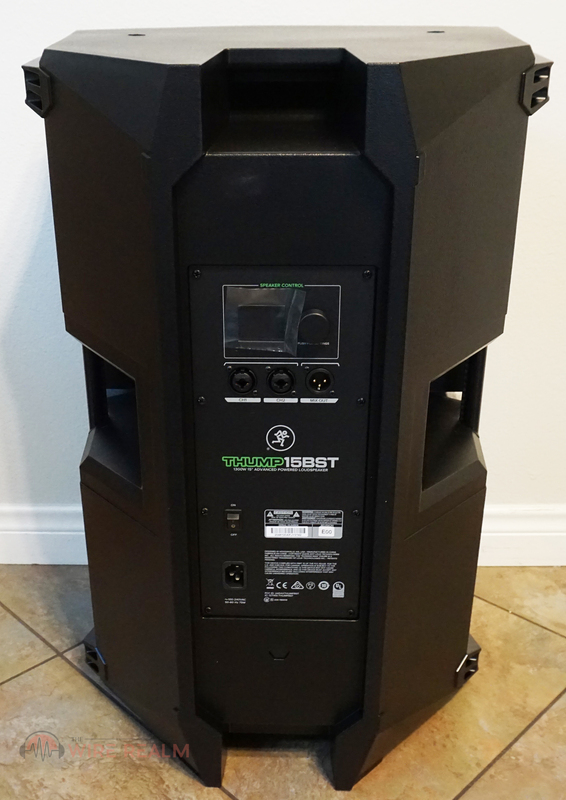 With the wattage on these things (1300), and especially if you have two (2600 combined), we’d say you still wouldn’t have a problem having enough volume and overall power for bars, restaurants, or even medium-sized venues with an open stage. 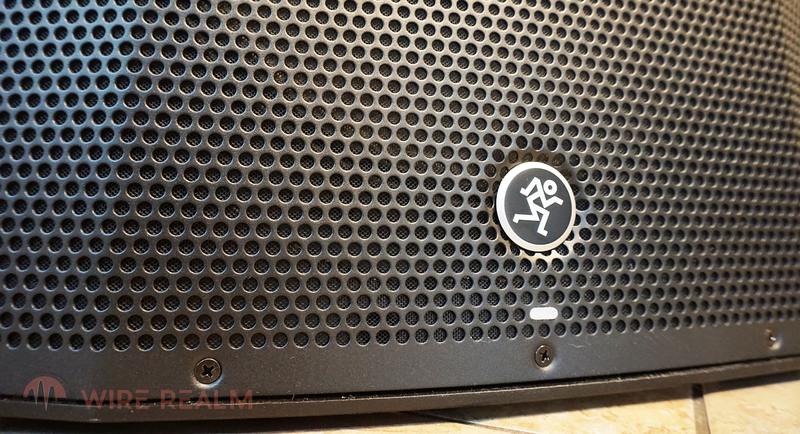 In terms of audio resolution, we heard a very clear sound but did feel the “thump” for where this speaker gets its name. There is definitely an embellishment on the lower-end (considering it goes down to 5 Hz), but nothing too noticeable in terms of writing this off as “too much bass” — if anything, this is where the three-band EQ comes in to play as well, and just in case you do indeed think it’s “a little too bassy” (although many DJ’s or performers tend to like a bit more bass to please the crowd), you can easily turn down the lower-end if you want a flatter response, or if you need even more kick you can crank that baby up. 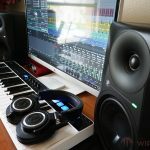 This goes for mids and highs as well, and a huge reason we feel the Thump 15BST is high-end when it comes to a PA system or just powered speakers in general is because some don’t even come with mixing capabilities to be able to customize the sound and feel of what you’re portraying to your audience. When using the three-band EQ, we were happy with how we were able to customize the sound. However, we’re ones to keep the bands even, although that’s just our personal preference. 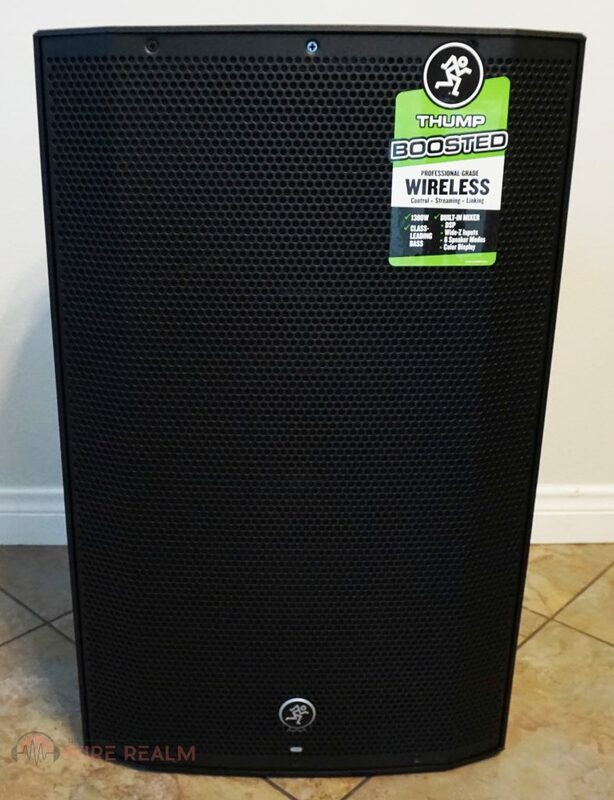 They’ve also come out with a 18” Thump18S powered subwoofer in this new series that could be a great addition if you’re need of even more low-end bump to your performances. 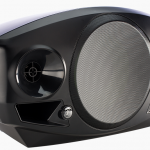 To get technical, a big reason why the audio resolution is clear with this speaker is due to having separate circuitry for both the low and high-end. 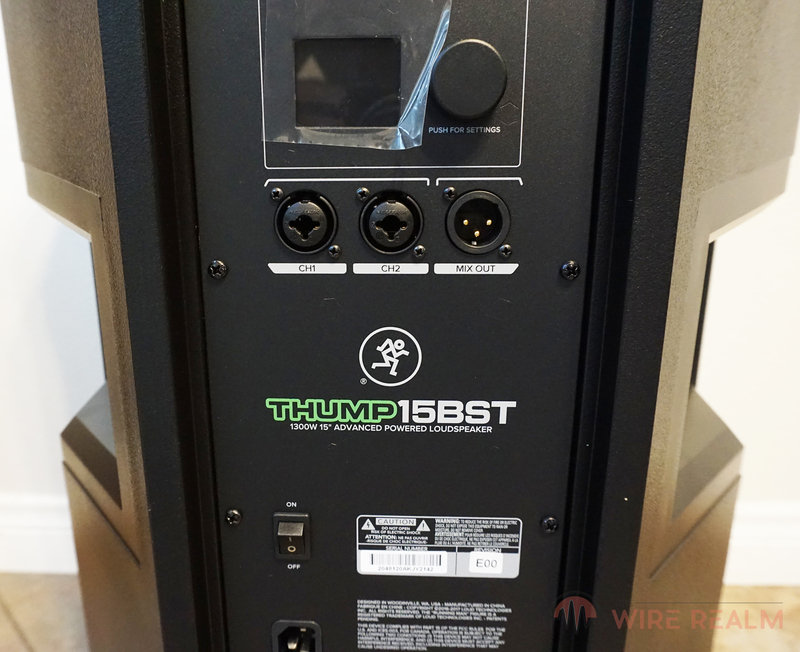 This works with the Thump 15BST’s advanced internal build, in particular the two-way crossover. Unlike other (and cheaper) speakers, this works by taking the input audio signal and creating two separate signals for the lows and highs. The Thump 15BST’s then time align these LF and HF signals to make sure they’re in sync, creating a more clear and precise resolution as opposed to just one singular line (yes, the more the better in this case). The Dynamic Bass Response here also adds on to the quality. This technology in particular uses a higher voltage supply than normal, which in result quickens the processing response of the built-in amplifier. 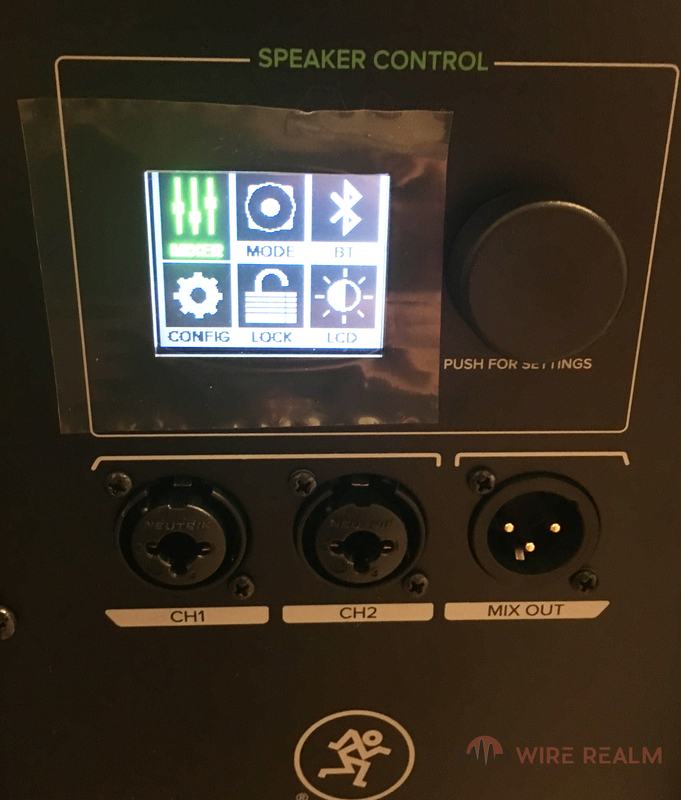 If you’d like some extra help when it comes to customizing your sound depending on the setting you find yourself in, another nifty feature we love of the speaker are the application-specific modes. We tested all six to get a feel of what each brought. Our favorite was the “music” for streaming, but the “live” setting also stood out for a more open sound if you’re at a show or gig. “Speech” was also effective when we turned off music and strictly spoke on the microphone and felt we had a better HF response. The six modes available at the push of the knob depending on your setting or desired sound. We also tested the sound quality of the microphone preamps in this speaker, and had no doubts about it. The Vita preamps, which they’ve used in many other popular loudspeakers of theirs, work very well for those who want to perhaps add a microphone or two to their DJ setups, karaoke, portray speeches or sermons, or smaller to medium-sized venues or bars that don’t have a proper sound booth or PA system already installed. 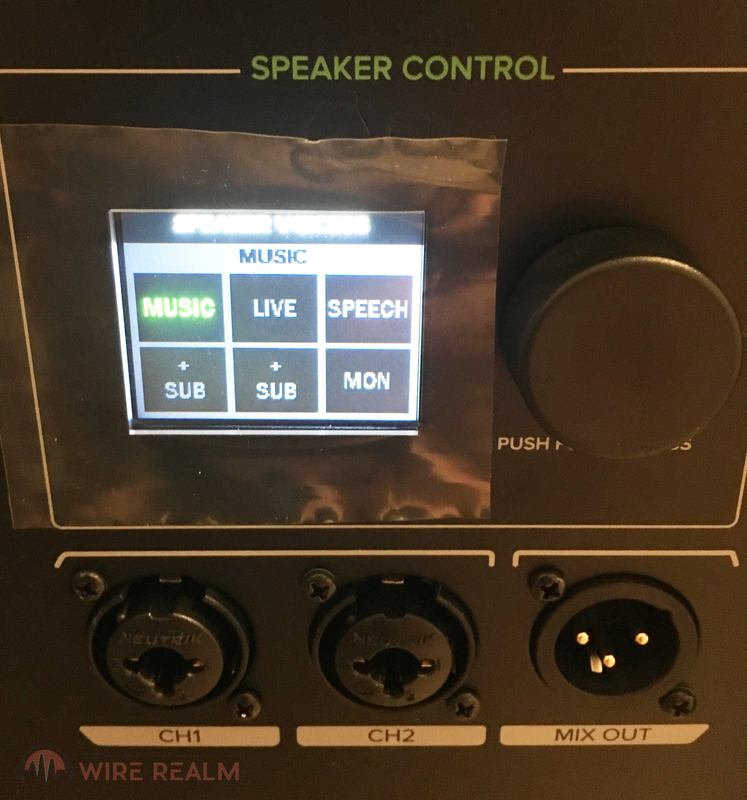 The preamps also have something called Wide-Z technology built-in, which without getting too technical, aid in the handling of the mic, line and instrument signals. 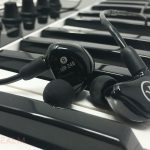 The Thump 15BST are not made of any cheap material whatsoever, and we’d hope so with the cost of about a grand retail if you grab two of them. The overall enclosure is a textured black finish polypropylene, coming in very rugged and sturdy. Coming out of the box, they were pretty heavy to try to pick up from the bottom without help, however we realized there’s a few convenient handles built-in for easy transporting — two full grip side handles as well as a top carry handle and rear pocket at the bottom. We were ultimately able to carry both at the same time with the top handle and move them through out the room, and although we recommend just going one at a time, you’ll be fine in terms of overall transportation if you’re an on-the-go performer, DJ or somebody who just wants to blow their friend’s Bluetooth speakers out of the water for a hangout. Just make sure you’re using proper form. The mounting options are also great in terms of flexibility here. For positioning, you can keep this standing upright no problem, or if you’d like to portray to a wider audience, set them horizontally on the ground and you’ll have more of a monitor feel to your sound direction. 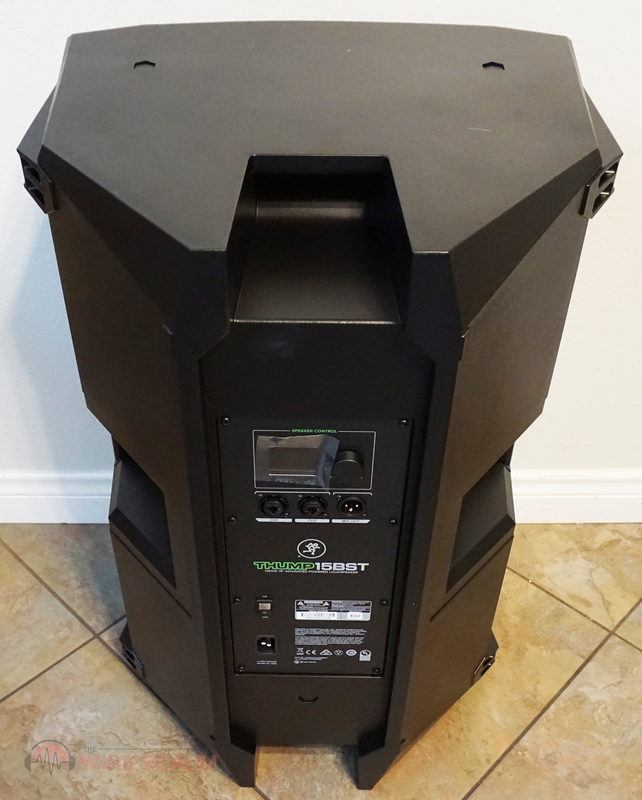 Of course, you can also use the pole mounting with the 15BST, or perhaps the M10 fly points if you’re more advanced or need to keep these bad boys in place for a long-period of time, such as in a venue, restaurant or even your studio or house. 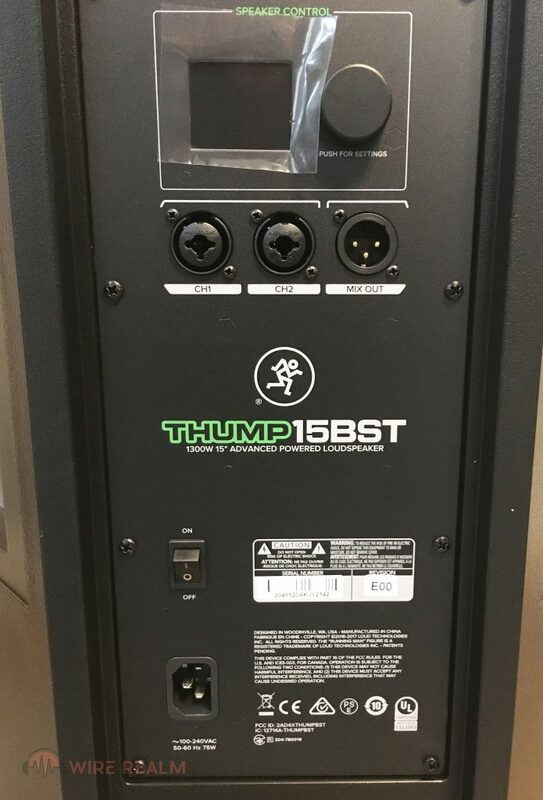 Simply put, the Thump 15BST is a beast. 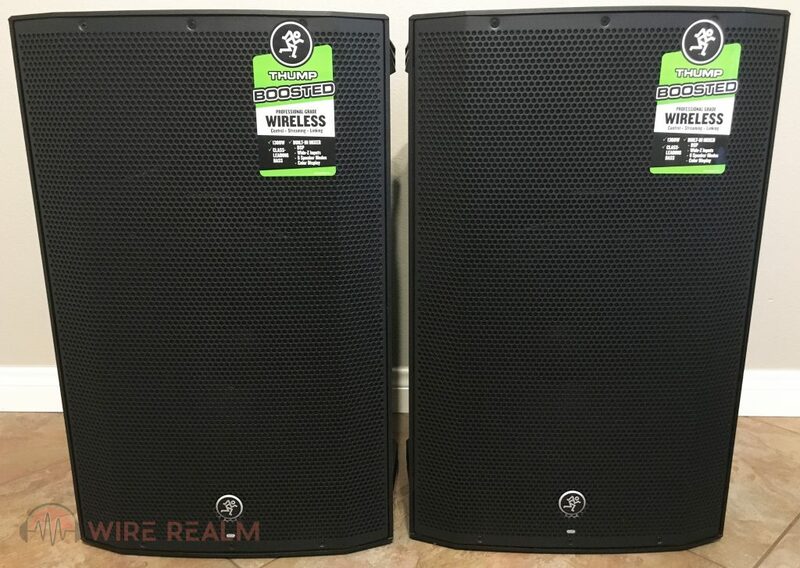 Especially if you grab two of these monsters, you’re going to get more than enough power for house parties, performances at bars, and small or even medium-sized venues that don’t already have a PA system installed. If you’re in need of a simple Bluetooth speaker, we don’t think it’ll be a huge must unless you’re of course a person who wants to really enjoy music when you have friends over and get that extra thump (see what we did there? 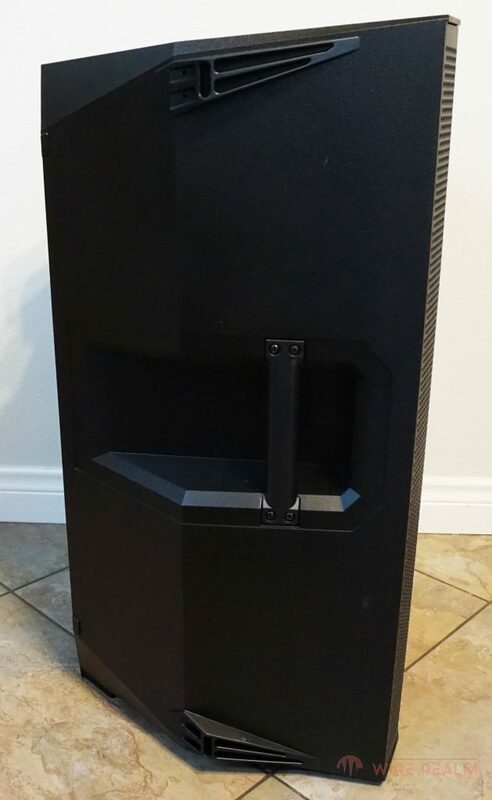 ), or perhaps like to throw bigger-than-normal get togethers and don’t want to sacrifice audio quality by having to use a standard sound bar or TV speakers. 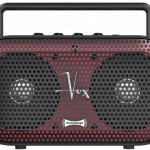 If you do want to save some money, they have another model just slightly below this one in their Thump series, the Thump 12BST. 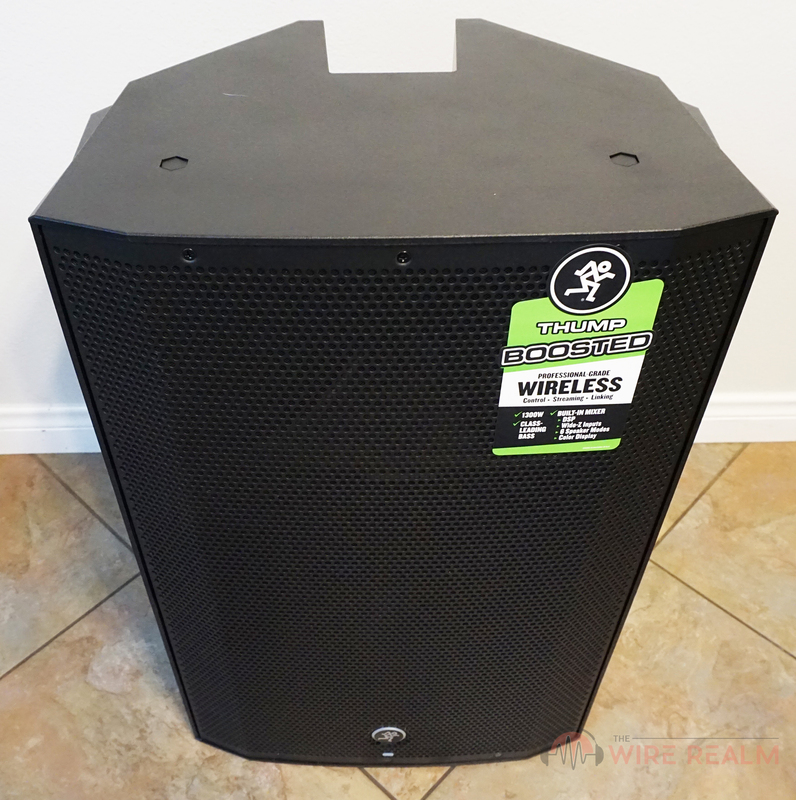 If you’re willing to sacrifice a smaller woofer (comes in at 12″ as opposed to 15″ with the 15BST), a few less preset speaker settings, and a more limited frequency range, it’s about $150 retail less, or $300 less if you grab a pair. 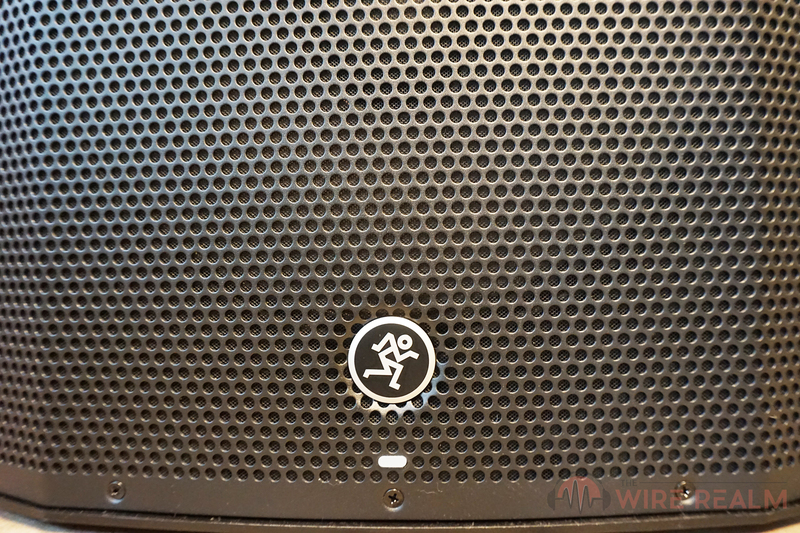 Ultimately, the Mackie Thump 15BST is a beast of a loudspeaker, and if you grab two of these, power and quality will be the least of your audio playing worries.